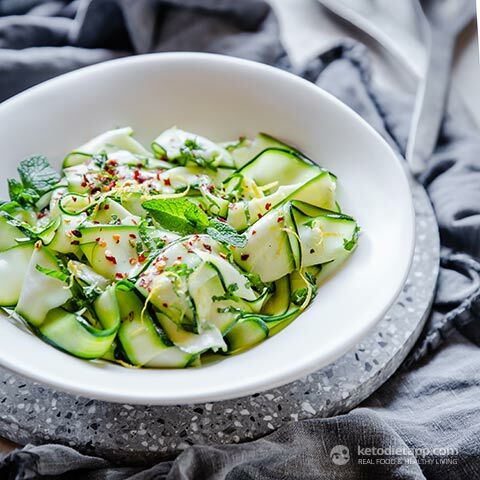 Raw zucchini in a salad seemed like the weirdest thing I’d ever heard… until I tried it. Tender and tasty, it gives you all of the satisfying crunch of a cucumber, but none of the wateriness. Teamed here with a simple yet delicious lemon and olive oil dressing and a scatter of fresh mint, this salad will become a staple. 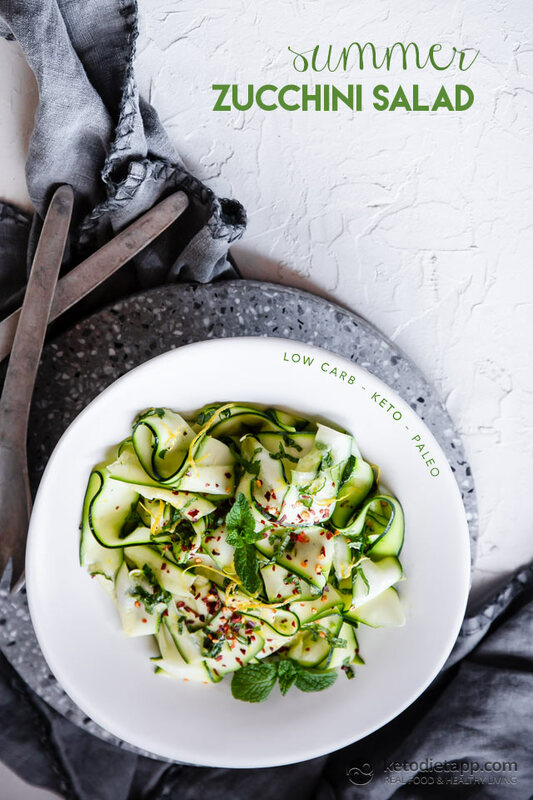 Best served as a keto side dish or light low-carb lunch. Enjoy! Prepare all the ingredients. 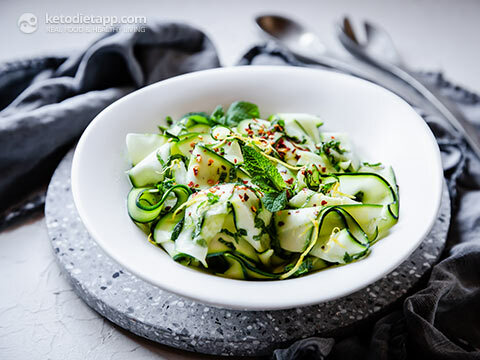 Using a vegetable peeler, cut the zucchini into thin ribbons. Place in a serving bowl. Combine lemon juice, olive oil and shredded mint in a small bowl and mix well. 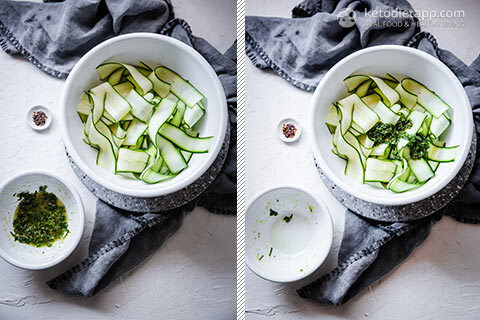 Add to the zucchini ribbons, season with salt and pepper and toss through thoroughly. Garnish dish with a scatter of chilli flakes and some lemon zest. Store in the refrigerator, covered for two days. Loved this because it was light and very refreshing. Instead of the Chile flakes, I used red pepper flakes. Gave it a nice kick. Couldn’t help but have 2 servings. 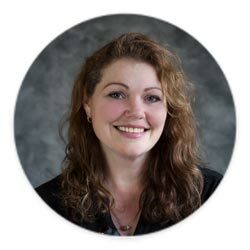 Thank you Deborah, I'm glad you enjoyed! I was out of lettuce and very much in need of a salad to have with my dinner last night...this post came at the best time! 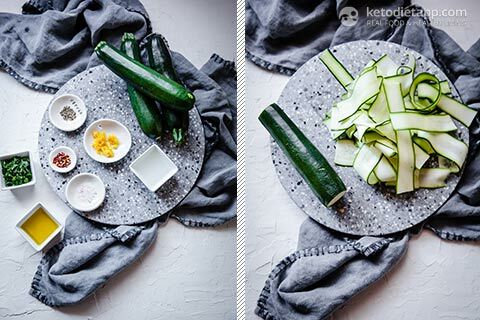 I didn’t even know you could eat zucchini raw! It was delicious!